Have you read any of these? If not, are they on your TBR list? Or maybe you'll add them now that you've seen my reviews, which you can read by clicking on each title. So this year I participated in 2 year-long challenges: The TBR Pile Reading Challenge and the A-Z Book Challenge. Both of which I completed!!! The TBR pile should have been easy, yet as I got new books, those sounded better than the ones I'd already had sitting on my shelves, even though I'd been so excited for those books too! The A-Z challenge was more difficult, finding books to go with Q, X, Y, and Z was not easy, and so I stretched a bit on those. You can see how I did if you go to the links above for those posts. Because I have such a big TBR pile, I've chosen to participate in that one again this year, and you can see my post for that here. I also started my own 1 month challenge, that I plan to run again this year, maybe even in conjunction with a blog that does a lot of giveaway hops holding one week of a hop during that month, it is my September is for Sequels Challenge. I think I had about 10 people participate this year, I'm hoping to get more next year! And talking about getting more, my blog following is up over 1000!! Which means to expect a giveaway in January! I'm thinking either a gift card, or maybe a choice of book from the Book Depository. I set my reading goal with Goodreads at 125. But as I got later in the year, I think around September, I realized I might not quite make the 125. For many reasons, so I decided to drop my total. First I dropped it to 105. I figured that would be a 5% increase over last year, so that would be good. But then, I started being ahead of my goal, so I bumped it up to 110. Then to 115. And now, I'm one book away from that, so by midnight tonight, I must finish my current book to reach my goal! And as my New Year's Eve plans involve a quiet day at home while it snows outside, I see no problem in completing the goal. I plan to set my goal for 2013 at 120. I'm hoping to go to 125, but for now I'm being realistic with 120. Blog goals, hmm. I'm hoping to maybe do a re-design on my blog sometime this year. Probably save some money and have someone do it as I do not really know how to do that kind of stuff. But I have some ideas I need to write down to share with whoever I get to do it. My personal goals for 2013 are to get back to the walking I was doing. I was doing anywhere from 3-5 miles almost every day. Then I worked 3 jobs for awhile, and that killed any time I had, or energy to actually leave the house. Which then lead to my bad eating habits, feeling too lazy to cook, just running through the fast food drive thru on the way home from work. So I plan to work on that as well. My goal as a teacher, besides continuing to look for a library job, is to keep up on my grading. Try to stay an extra hour after school and get the current day's grading done that day if possible. Although, with the new puppy, I may have to run home, let the dogs out, then go back to school to work for an hour. But getting into that habit will be great for getting ready for the good weather when I can start walking again. 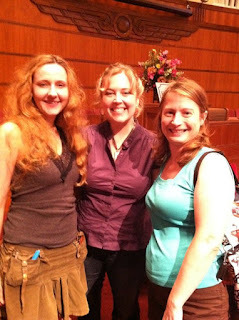 Other great things this year, I continued meeting awesome authors. 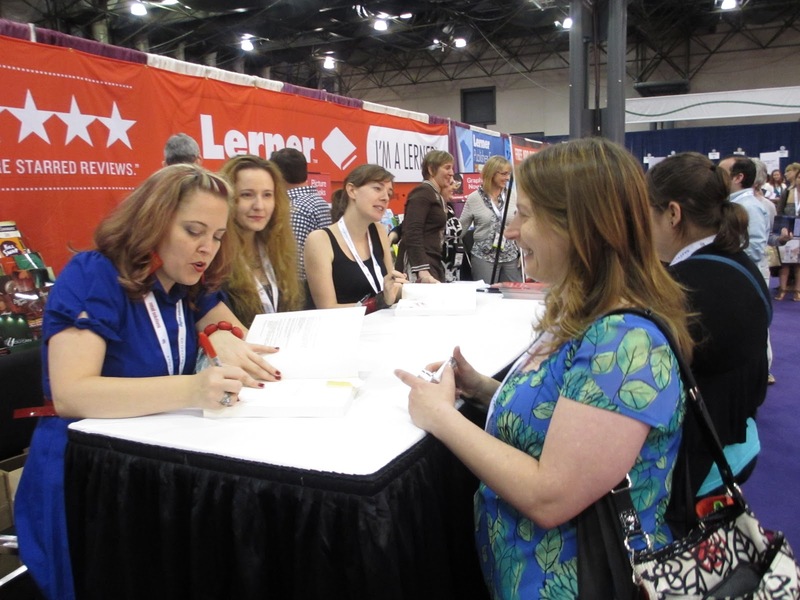 In fact, going to BEA was so much fun! I wish I could afford to go again this year, but I just can't. And my principal did let me teach a Communication Arts class this year, so that is a bit of a step closer to my goal of being a school librarian. That's an easy one. It's not even a novel, it's a nonfiction, kind of self-improvement type book. It's called How Full is Your Bucket: Positive Strategies for Work and Life by Tom Rath. It was a book the school district that I teach in used as kind of a focus a few years back. It's a quick, short read. But it is so important I think. It is so easy to let one person ruin your mood. It helped me to see that just one thing I say to someone, even innocently, could be the last straw for them, based on what is going on in their life. Whenever someone is rude, just because they're having a bad day or something, I want to hand them this book, and ask them to read it. I just think it really brings up some good points and things to consider when you're dealing with other people. So what about you? What book do you think everyone should read? During my BEA 2012 experience, I did get to meet the author of this book. I'd heard of her books on several blogs, and knew what she looked like from following her on Twitter and such. And then the first day, for the Blogger's Day of the convention, she was standing in line behind me waiting to get it!! I turned around and asked her if she was who I thought she was, and I was right. She was really nice, and even talked to me for a little bit, and let me join into the conversation with her and her friend. I only wish I'd asked to have my picture taken with her at the time so that I could share that in this post, as well as adding it to my Hall of Fame photo album on Facebook, and I think I may even start scrapbooking all my author meetings and pictures, and I'm not really into scrapbooking. But anyway, on with my review of the book. After my yearly review at the bookstore where I work part time, the manager who reviewed me said that my knowledge of YA and teen books was really good, and that I should always order in books I thought would be good sellers. Well, since I'd never seen Michelle's books in the store, I looked in our computer at work, and found I could order both the first and second book in the Transcend Time Saga. So I ordered them in. And then of course I purchased one of each for myself. While I had some e-galleys I needed to get read on my Nook, one day I decided it would be easier to carry a physical book around with me on my errands instead of worrying about leaving my Nook in my car. So I took Remembrance with me. It had a good start, and hooked me right away! When I got home that evening, I intended to move back to reading the e-galley I'd started, but unfortunately Adobe Digital Editions had decided to no longer authorize my Nook. So I didn't have the time to mess around with that, so I just continued reading Remembrance. I love the idea that the author was inspired from seeing a video. In this case it was from the Taylor Swift music video: Love Story. Which, by the way, I love that song anyway! I've never seen the video, but intend to go watch it after I finish my review! The main character is Lizzie. She seems to have an almost perfect life. A great best friend, and one of the most popular boys in school as her boyfriend, a soccer star, and they've been dating for a long time. But this year, with his being a co-captain of the soccer team, he seems to have changed, so there is trouble in that paradise. A new guy, Drew, transfers to their school, and from the moment he walks in the door, Lizzie feels a strange connection. Now, I'm not a fan of the whole "insta-love" thing, but this isn't necessarily done like that. He's a cute guy, so I'm okay with instant physical attraction, that's just real. But the connection she feels is just at first that she knows him, and she doesn't of course, at least not in this lifetime. Soon Lizzie begins having memories or images popping into her head from a time period similar to the book she's reading for her class, Pride and Prejudice. And Drew seems to feel the connection too. Or something. But, Lizzie is dating Jeremy, problems or not. And her best friend Chelsea has her eye on Drew from the first day. And Lizzie can't hurt her best friend. But things keep happening, and it seems more and more that Lizzie and Drew were meant to be together. Despite Drew trying to keep them apart for some reason, and the fact that there are other people involved. The story is really good. I like the way it works. That Lizzie and Drew don't really ever cheat on their significant others until they are officially broken up, and even then, it doesn't really go far because they want to be honest with Chelsea before they go public. Really the story seemed realistic, I can see people acting the way the characters did. My only complaint, and I only mention it because it stuck out several times, is the use of one word. Smirk. Nothing wrong with the word. It is a very good choice for figurative language. A "showing" word as we might say in my Communication Arts class that I teach. BUT, I feel as if it is used a lot in this book. And once or twice, it is used in a situation that I don't think it fits that well. But hey, what do I know? I can't even finish any of the stories I've started! If you haven't read it, read it soon! The 2nd book was really short, I was kind of worried it was maybe just a sampler, but from what I read in the back of this book, it was just a short story. 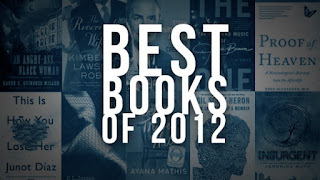 So now I'll also be needing to get the 3rd book, although I don't know that I can order it in to my bookstore. So may have to order it online. 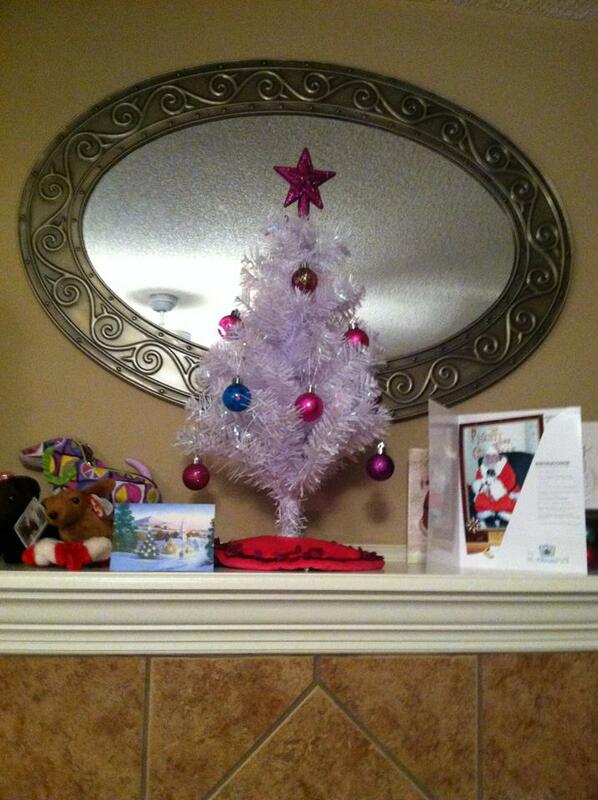 Merry Christmas to all my followers! Or whatever holiday you might celebrate, I hope you enjoy it. I've already got the number 1 book I had hoped for, Insurgent! The special edition with Four included! Had a great family get-together with my Mom, Step-dad, younger brother, sister-in-law, and niece last night. Today is my 2nd get-together with my Dad, Step-mom, and two younger sisters. I must come up with an idea for a giveaway for getting over 1000 followers this past month. So look for that in the new year. I am also making sure I've completed the two challenges I signed up for this year, the A-Z Challenge, and the TBR Pile Reading Challenge. Both of which I have completed to the best of my ability! I'll be joining in the TBR Challenge for 2013, and I must decide if there are any other challenges out there I want to join. One thing I do have to do while I am off from teaching for the next week or so, I must get some songs taken off of my iPhone, ones that I don't listen to that much, so that I have room for doing the new operating system update. Also, once again, for some reason my Adobe Digital editions has unauthorized me, and so the e-galleys I have on my Nook won't let me read them. And I was right in the middle of a good one! Grr! Hope to be able to remember exactly what I need to do to fix it! One last final note, I had been looking at getting a new puppy for my dog Dora to have a sibling to play with since I lost my Sydney (the cartoon at the top represents Sydney) last January. And on Saturday I got to bring home, hopefully forever, a little dachshund boy named Argyle. I think the name is really cute on paper, but when you try to call it out, it doesn't quite roll off the tongue. I've been calling him Buddy, so don't know if that'll end up being his name, because I'd really like something more unique, since he is such a unique looking little boy. 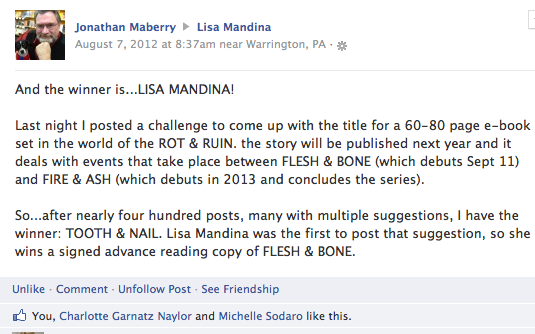 I loved Rot and Ruin when I read it a year ago to help pick it for the current Gateway Award nominees. So last summer when I was at BEA and I got to meet Jonathan Maberry, I got the 2nd book, Dust and Decay, autographed by him. I had planned to get to it during my September is for Sequels month, but didn't quite make it. And so now, here I am finally getting it read. When I first picked it up, I was excited and ready for some zombies since The Walking Dead was on a break till next year. I was a bit worried about how much time it would take to read though, since it is a very thick book, over 500 pages!! But, as happened with the first one, I was sucked in, and couldn't wait to pick it up any time I had to put it down, not to mention it was really hard to put it down once I picked it up! Now I have to go find the 1.5 that I downloaded, In the Land of the Dead, to find out what happened in between the first one and this one. And also the 0.5 that talks about what happened before the first book, called First Night Memories. And before I go on to the third book, Flesh and Bone, I'll have to read 2.5: Dead and Gone. I won an autographed copy of #3 when I helped come up with the title for Tooth and Nail on a Facebook comment contest. In this story Tom and Benny have decided to move on and try to find the jet that Benny and Nix had seen when they last went and destroyed Gameland. Gameland was a horrible place run by Charlie Pinkeye where they brought teenagers and other kids in to fight zombies for entertainment. They thought they'd killed Charlie in the last book. But there have been some things going on that make Tom doubt it. Tom has tried and tried to get their little town to work on some kind of militia/police force to help protect their town without him since he is leaving. They are also taking Lilah with them, as she is not really comfortable sitting in the town doing nothing. Their trip is a disaster almost from the beginning. First there is a run-in with a rhino and a mob of zombies. Then they run into Preacher Jack. Who Tom thought was a good guy, but turns out to not seem to be such a good one after their first meeting. As they head toward their first stop, Chong, who is only along for the first part of the trip, takes off. Feeling as if it is his fault they had all the issues with the first group of zombies. When they reach the gas station, they find that the people who are normally there are gone. Tom leaves Benny, Nix, and Lilah there, while he goes to try to find Chong. Chong of course gets caught, by people working for White Bear, getting the Gameland going again. We find out that White Bear is Charlie's brother. And he is after revenge for his brother's death. Along the way to find Chong, Tom runs into some old friends, one is Sally Two-Knives, and she has been hurt. But she knows where Chong has been taken. Meanwhile, back at the gas station, the safety things that Benny and Nix and Lilah put up, somehow get taken down, and without any warning, they are surrounded by a swarm of zombies. In trying to fight their way out, Benny and Nix get separated from Lilah. So now, almost everyone must find a way to get to the others safely, with their own dangers after them. It all ends up in a big finale at Gameland. A good one, with some surprising results, not all happy. But I won't spoil anymore for you. You have to read it and find out! If I could, I'd just read all the way through all the rest of the books that I have now, including the short e-books. But, I have Netgalley books to get read before they expire. So maybe when the 4th book in the series, Fire and Ash, comes out, I'll sit down and read the rest of the series all at once. Anyone who loves The Walking Dead, or zombies, will love this series. Go check it out if you haven't yet! Feature and Follow Friday 12/21/12 AND Gift Card Giveaway Winner AND I've reached a four-digit following! What have you learned from book blogging that you didn't know before about the publishing industry? Hmm, this is kind of a hard one for me. First off I guess I've learned about when publishers want you to review their ARCs. I've worked at a bookstore since 2000 I think. And at one point when I started getting the ARCs at the store, I didn't pay a lot of attention to the little letters about sending in my thoughts, or any of that. Once I joined NetGalley I learned how important it is to give the publishers your review. It is kind of what they expect or kind of ask for in return for letting you have a chance to read the book early. I've also learned from other bloggers about how you can contact publishers themselves to request ARCs. Not that I've done much of that. I guess I figure I already get so many from NetGalley and the bookstore where I work that I don't want to be greedy. But some series that I wouldn't have probably began if it wasn't for ARCs, well, I should get more into requesting those so I can continue reading the whole series in the same way. So, what are some things you've learned? 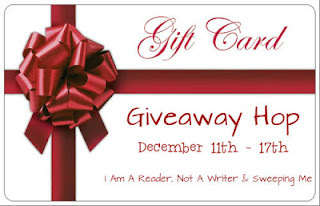 I'd also like to announce my winner from the recent Gift Card Giveaway Hop sponsored by Kathy at I Am a Reader Not a Writer, and Mary from Sweeping Me. The winner of the $20 gift card to Barnes and Noble was Cheryl M. She has been contacted and replied, so I'll be getting her prize out to her in the next day or so. And last, but not least, thanks to the giveaway, my GFC follower number is over 1000!! So now, I've got to figure out what kind of prize to give away for that. There has to be a prize!! I wish I could do something really big, but I probably can't afford more than a $20 gift card or a single book. But I'm thinking of just leaving it open to the followers, maybe a choice of book from The Book Depository? What do you think? I'd love to hear what my followers would like. So, I'm participating once again in this, this challenge which is being sponsored by Evie @ Bookish. I did finish all my goal last year by May, but I was bad about linking up my reviews. I've got to go find out if I can link up those I didn't do earlier for this final month. But anyway, I'm going to stay with the same level this year. Seeing as how I probably have at least as many books left on my TBR list as I did when I joined last year, plus at least 10 or more from BEA. 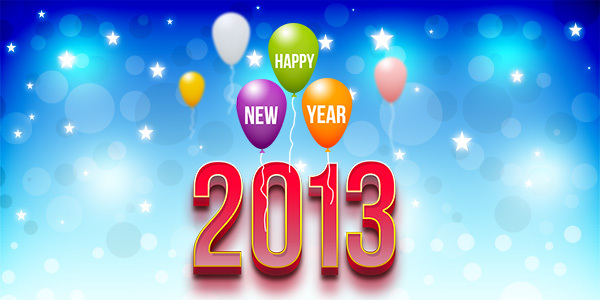 My goal this year is to read between 11-20 books between January 1, 2013 and December 31, 2013. The books have to have been published in 2012 or before, can't be any new books or else they don't count in cleaning out the TBR pile!! There are 5 different levels, you can go up at any time, but you can't go down, and I've chosen the 2nd level this time. You can list your books in this post if you want. I'm going to do like last year though, and just mention in the actual review that they are part of this challenge, as well as coming back and adding them to this post later. Which reminds me that I need to go add two more to the original post last year. There are cool contests and giveaways each month, which as I mentioned earlier, I didn't do so well with last year. I'm going to do better in 2013 though! To find out more go to the link for Evie above and sign up! This book is one on the current Truman nominees list that my students are reading and voting on this school year. It was one that looked really good to me, and I'd been excited to read for awhile. I was able to get a copy for pretty cheap at the school book fair back in September, but haven't had time to read it till now!! Dark Life was a quick read. It was pretty good, had humor and adventure, and I liked the science fiction/dystopian parts as well. I did get a little tired of the "he blushed, and hoped she wasn't looking" type of lines in the book, but hey, it's for middle-schoolers, so not that big of a deal I guess. The main character is Ty, he lives underwater, and has his whole life. You see, some time in the past, the Eastern coast dropped into the ocean, and land became precious. People had to start living in very tall stacked up building. Lucky if a family had more than one room to live in. But, there was an offer, people who went and made homesteads on the ocean floor and stayed for a certain amount of time, would be given a large stake of land after that time. Ty can't wait for the day he can do this. But things are great right now. There are pirates, called the Sea Blite gang, that are terrorizing the settlers, as well as the government. And really, the settlers aren't even getting a very good deal from the government on the crops they are producing that feed the people on land. One day when Ty is out where he's not supposed to be by himself, he comes across a sunken sub, that he ends up using to hide from some of the giant underwater creatures. Inside he finds he is not alone. A girl from the Topside, named Gemma is there. Turns out she's come down to try to find her brother. The sub is covered in blood. And so they're not sure what has happened there. But while they're hiding there, the pirates come along to take the sub. So they do escape, and Ty takes Gemma back home and decides to see what he can help her. But while all this is happening, the government is telling the settlers they must catch the pirates or the government will withdraw all of the help they've given. And one of the homesteads is attacked by the pirates. Ty goes over to try to help them, and even sees the pirates, including the main scary one, Shade. Turns out Shade also sees him, and marks him, and Gemma. As they get closer to the mystery of where Gemma's brother is, it was his blood in the sub they found, it all seems to lead to an unwanted, dangerous confrontation with Shade. While this wasn't the best in world building. I'd like to hear some more about the Topside and how things are on land, it was very neat to read about how the houses worked under the sea. And the Dark Life, means that there was rumors that kids born under the sea, or that lived there for a certain length of time developed special powers. And Ty, he was the first kid born down there. So Gemma suspects he might have a power. Like the one case that there was a big article about in her world, even if it was declared a fraud, she won't give up on the idea. A fun read, and quick as I said. But compared to some of the other nominees on the Truman list this year, I don't see it as the winner. But I will definitely be recommending it! And I was able to get the sequel for half-price at a Scholastic Warehouse sale this weekend, so I'll be reading on when I get some time. First I have to say thank you to Razorbill Publishing and Netgalley for allowing me to read the e-galley of this title. I have been a fan of Brenna Yovanoff since I read her first novel The Replacement, and then I got to meet her at a Maggie Stiefvater event in my hometown. Maggie had two friends there, who were also authors, Brenna and Tessa Gratton. I hadn't heard of Tessa before, but I had read Brenna's book and was disappointed that I didn't know she would be there or I'd have brought my book to get autographed! I also have enjoyed her book The Space Between, and have one from BEA that I have yet called The Curiosities: A Collection of Stories, which also includes stories from Tessa Gratton and Maggie Stiefvater, and I got to meet them all together again at BEA this past summer! But anyway, on to this particular book. I was unsure at first what the actual story was going to be. A ghost story, a serial killer mystery solved by a teen, or even just a plain old teen angst story. Really, a little of all of these was in the story. 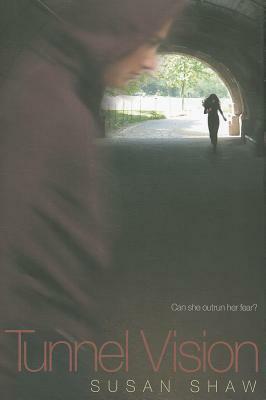 The main character is Hannah. Her best friend Lillian, who died about 6 months ago, is now haunting her. The death was caused by anorexia or at least some form of eating disorder. Ever since then, Hannah has not been the same. She comes out around people and smiles, but doesn't let them know what is going on inside. Her old crowd of friends are still mostly friends, although one of them is really straying from Lillian's ways, and Hannah is less and less wanting to be around her. Part of the problem for Hannah is that she is trying to figure out how much of the blame for Lillian's death can be put on her for either not making sure she got help, or even kind of helping her in small ways. Along with the stress from this, it's been one of the hottest summers in her town, and there has been a murder of a young girl. Hannah's aunt runs a photo processing place, about the only one left in town, and so of course the police use her store to develop their crime scene pictures. Hannah sneaks a look at the photos before anything is released to the press, and she and Lillian see something that reminds them of a death from earlier on, that isn't necessarily being listed as part of the same crime. And soon there is another girl found dead, with similar markings. 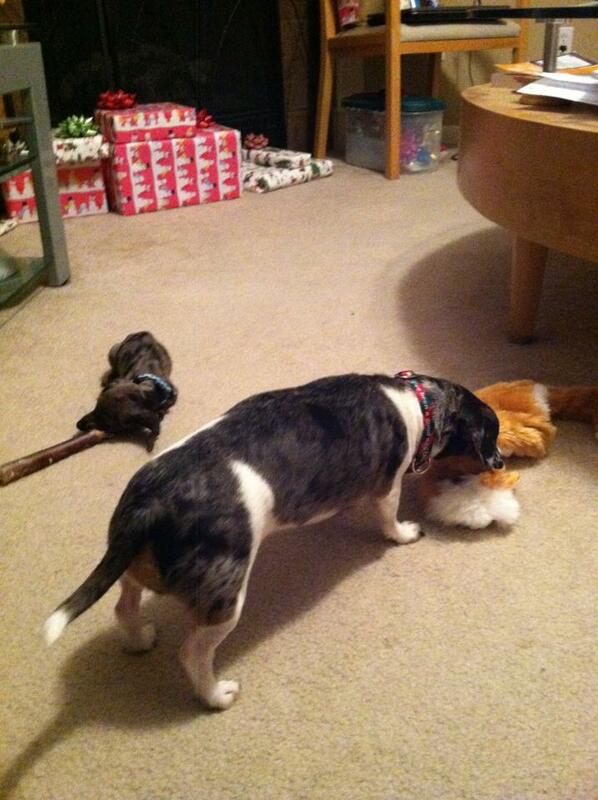 The killer has left all kinds of toys and stuff on the ground around the place where they leave the dead body. Hannah and Lillian begin to be detectives and try to figure out what they can. Now of course, what would a teen book be without some kind of romance? A school bad boy, Finny, has caught Hannah's eye. She's not sure why at first, he's trouble, and Lillian warns her to stay away from him. But when he gets her bracelet back from another creep for her, she begins to see that maybe Finny isn't quite the boy everyone thinks he is. In fact, she goes to his house, and learns a lot about him. But, as Hannah starts to find more and more clues to the killer's identity, she even has a moment where she wonders if it might be Finny. Especially when he is walking Hannah and her sister Ariel home, and they take a shortcut through the park, and end up walking right by where another girl's body has been dumped and left with the trinkets. A lot of times I can get a list of possible suspects in my head as the story goes along, but this one I was in the dark until Hannah figured it out herself. I think that is a good thing for the author to have done. Says a little that you are surprised. Although, I wonder if there could have been clues that I might find if I go back and read it again. But that would require extra time, and giving up reading other e-galleys and ARCs and other books sitting around in my house waiting to be read. So, that'll have to happen when I win the lottery or retire I guess. But I definitely think this was a good read. If you've read any other books by this author, you'll enjoy it. And if you haven't, go ahead and read this, then go back and check out the others. This will be published at the beginning of January, so put it on your TBR list. This was the only ARC I got from BEA that I hadn't read yet, that hadn't been published yet. All the other ARCs I have left from BEA have already been published. Too busy!! Aack! So I'm behind on those. From now on, all my advanced reviews will be from Netgalley for awhile. But anyway, let's talk about this one! I wasn't quite sure if this was going to be an angel story or something, because of the cover. 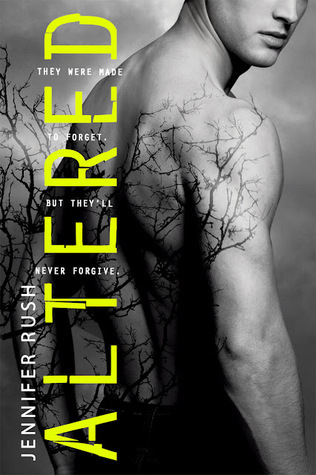 I like the cover, hot guy, who wouldn't, but on my ARC, the title Altered is in black on a neon green background. So you can see how it looks it different on this cover picture from Goodreads. But, cover misleading or not, I did really like the book. In fact, it was one I could barely put down to do anything else. It really kept me turning pages!! The main character is Anna. Her father works for the Branch. And so in her basement are 4 genetically altered boys. Sam, the one Anna seems the most drawn to, Trev who is really smart and seems to really like and care about Anna, Cas who is very funny and lots of fun to talk to, and Nick who seems to hate Anna for some reason that she doesn't even know. At a certain age Anna gets to go down and start helping her father with running the tests on the boys. Her mother died when she was young, so it is just Anna and her father in the farmhouse. She is home-schooled, because it wouldn't do for any word of these boys in the basement to get out. The boys have been altered to be stronger, better fighters, as well as something that keeps them young. But, they all have amnesia, have no idea who they were before. One day the Branch comes to take them away, saying that all the research that can be done in the lab is done, and they need them. But Anna doesn't believe they should go yet, and it turns out that Sam and the boys don't want to go either. Turns out they've been planning to escape. And when they kill the agents, Anna's father tells her to go with the boys to be safe. As they go place to place following the clues they find, in letters, pictures, and even in Sam and the other boys' tattoos, Anna also learns more about her past, and that her whole life is not as she remembers, and she learns what the connection to Sam is. Really, really good book. 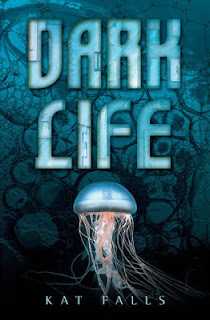 As a science person, I kind of wished for a bit more science details, but maybe that's too much for a YA novel, and would be more of an adult sci-fi novel. I loved Cas, so much fun! hated Nick, don't like the "reason" for him being such a meanie. And Sam, well, Sam was a good love interest. And then there was Trev, also a fun guy, loved his quotes, and then seemed to be such a good friend. Good book. Glad that on Goodreads it is listed as a #1, because I want to know what happens AFTER the end! 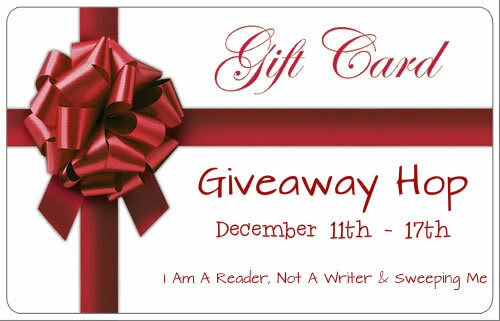 I am excited to be participating in this Hop that is being sponsored by Kathy at I Am A Reader Not a Writer and Mary from Sweeping Me. And I can help out the store where I have a part time job by purchasing a gift card from them. And that leads into what you can win here on this stop of the Hop. I am giving away a $15 gift card to Barnes and Noble. You can use it in a store, or even online at bn.com. You can save it for the books that always seem to get released right after Christmas, after it's too late for Santa to bring them! Or use it however you'd like. All you have to do is fill out the Rafflecopter below. And all I'm going to require for you to enter, is that you follow my blog. I prefer GFC, but Networked Blog or Linky Followers are great too! My giveaway will run until 12:01 am on Monday December 17th. I can't believe it took me so long to get to this. It was one that I had hoped to pick up at BEA, but didn't. And then, a publicist from University of Minnesota Press contacted me when I mentioned on my blog that I didn't get it, and offered to send me a copy. So I do feel really bad that I didn't get to it till now. On the bright side, I didn't really notice it in my bookstore until just recently anyway, so now I can actually hand sell it to customers. And, it is my 12th, and final book I've read for the TBR Pile Reading Challenge. It was a pretty good book. Historical fiction, about the area of Minnesota near the Canadian border. For some reason in my head I was thinking of more the Seattle area, probably because of the town name of Ranier? Which in my head meant Mount Rainier in Washington. Crazy me. But anyway, it was about a logging area, and during the time of prohibition. The main character is Sadie Rose, who is a foster child by a senator. Every summer they go stay in their cabin along the shores of Rainy Lake. Sadie Rose hasn't spoken since she lost her mother when she was a child. About all she remembers of her actual mother is that she had worked in a brothel, and that one night she had followed her mother out into the snowy night, and that was where she'd been found, frozen, but still alive. Sadie one day finds some pictures of her mother, and all of a sudden she finds her voice. Slowly, and not with everyone, and as she learns more about her mother, she talks more and more, until she finds she must run away. She overhears her foster father talking with another corrupt businessman, and realizes she is in danger if they realize what she is remembering. But since she can't remember it all, she runs away, and soon ends up at the hotel where her mother had worked. She begins fishing around for information. Finding out many new things, that again lead to her being in danger. She sees her friend Owen, a boy she's begun seeing as more than a friend, and he helps her escape back closer to home. He takes her to stay with her friend Trinity, a girl from a wealthy family. 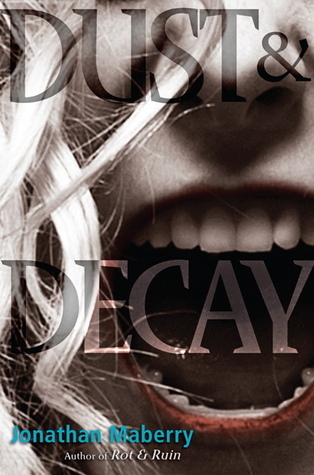 She learns that Trinity has a bit of a mental disorder soon, and it all comes to a head. She must go home to her foster family, and learns of a family connection in the process. She gets to fall in love with Owen, and go on to college, something she thought she'd never get to do. A good tale, some new types of situations for for a YA book. I'd say not completely teenage level. Definitely one my middle schoolers will like though. So thanks to Heather Skinner at University of Minnesota Press, for sending me this advanced readers copy. The first thing I HAVE to say about this book is that I LOVED it!!!! Such a creative, engrossing, awesome story! I'm not the biggest Alice in Wonderland fan, and don't hate me, but I'm not really that big of a Tim Burton fan, so I never saw the new movie. I read the book, a long time ago, and have seen the cartoons, and other things about it, so it's not an unknown story. But it was just not one I really ever got into. As I got into it though, and the story included some "facts" about the author and the little girl that he kind of based the story on, I got interested enough to do some internet research. And for some reason I felt I'd seen a movie about the true story. But then when I couldn't find a movie like that, I realized that it was actually a movie about the author of Peter Pan. I wish they would make a movie now about Lewis Carroll. 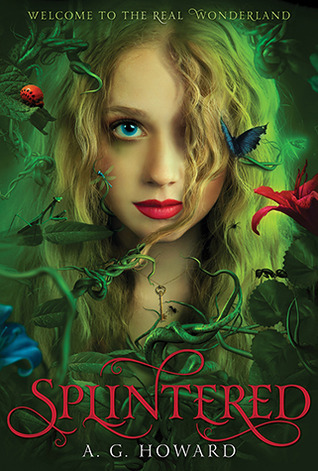 Okay, here's my brief synopsis of Splintered: Our main character is Alyssa, who is a distant relative of THE Alice that the story was based on. Her mother is in an asylum, as she seems to believe that she has been to Wonderland, and even hurt her daughter one time because of what she heard the insects saying. And actually, Alyssa has been hearing the insects and plants talk to her for awhile. But she's tried really hard not to let anyone know, and to ignore it. In fact, to help deal with it, she took up collecting insects, and using them in art. Which of course required them to be killed, which meant silence for Alyssa. She does decide to admit something to her mother about it, when the things going on with the insects begin to grow strangely predictive. But telling her mother about it leads to her mother having a bit of a breakdown. To the point where her father decides that electric shock therapy may be the only choice left. 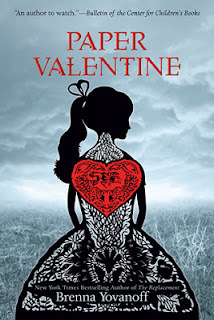 But Alyssa has learned of the curse on her family, and now wants nothing more to get to London, and in turn into Wonderland, to fix the original Alice's mistakes and save her family. She figures out how to get there from clues both off the internet as well as from her mother. Unfortunately when she gets the "looking glass" to work for her with the keys her mother left hidden for her, Jeb, her next door neighbor, best-friend, and secret crush, gets sucked in after her when he tries to save her. But of course, once they get to Wonderland, they have to deal with all the familiar things in the story, the shrinking with drinking the "drink me" and then growing back with the "eat me" cake. And, as with any good story, what Alyssa believes she is there to do, is not actually what she's going to be doing, or why she'll do it. Not to mention the fact that Alyssa herself isn't who or what she's always believed she was. Such a good story, with twists and turns to keep you on your feet and making it hard to put the book down, even if you have to work!! Okay, now, things I loved, that all the women in the line of the family were named a version of the name Alice. Any story that makes me want to research into a true story is a great story in my opinion. While there is a bit of a love triangle, and I do get tired of those, the way it works, well, it just works, and isn't as much of a triangle as could be. And, I am not a fan of comic books really, or graphic novels, but I must admit how much I wanted to see each of the outfits that Alyssa wore in the book. The author described them so colorfully I could almost see them in my head. But I'd love to see a graphic novel, or illustrations within just a regular novel of them. And I want her to look just like the cover, no cartoony-ness or manga-ish, anime-ish, etc. And this would be a colorful, wonderful movie, one I'd be there at midnight to see, even though I've said no more midnight premieres unless they are in the summer, because I'm too old for that during the school year when I have to teach all day. I love, love, love this book! If you like fairy tale retellings, or other story retellings, then you have to read this. What are you waiting for? Oh yeah, it won't be published till January. But put it on your TBR list, you'll want to read it! 2013 Truman Possibilities 22-25: The ones I didn't get to. The Emerald Atlas by John Stephens: I actually have an ARC of this. I got it from the bookstore where I work, but then I just never felt in the mood to read it. But, I have a feeling this might be one that makes the list. I believe it has won some award, and it seems like the kind of epic adventure that kids who enjoy Harry Potter or The Lightning Thief. 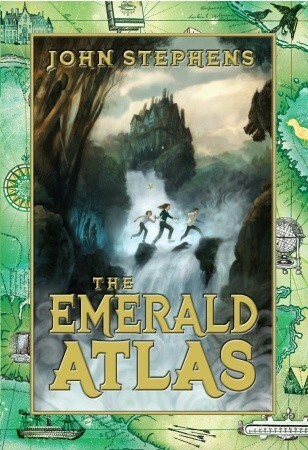 Here's the synopsis from Goodreads.com: Called “A new Narnia for the tween set” by the New York Times and perfect for fans of the His Dark Materials series, The Emerald Atlas brims with humor and action as it charts Kate, Michael, and Emma's extraordinary adventures through an unforgettable, enchanted world. 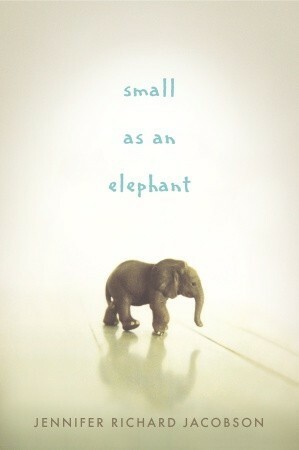 Small as an Elephant by Jennifer Richard Jacobson: This one I was unable to find anywhere! Not at my school library, and at the public library it was only available as an audio book, and I read much faster than I can listen to someone else read. I even tried to order a hardcover copy into the bookstore where I work, but it never got ordered in, so I couldn't check it out. It sounds like it could be an interesting one as well, kinda wish I'd found it. Here is the synopsis from Goodreads.com: Jack’s mom is gone, leaving him all alone on a campsite in Maine. Can he find his way back to Boston before the authorities realize what happened? Take Me to the River by Will Hobbs: I did actually get this one checked out from the library, but decided as the time to read got shorter and shorter, that I probably knew what it would be like. Will Hobbs writes a specific type of book, and they're usually pretty good. So I knew whether I read it or not, I'd feel the same way probably as the last one I read. 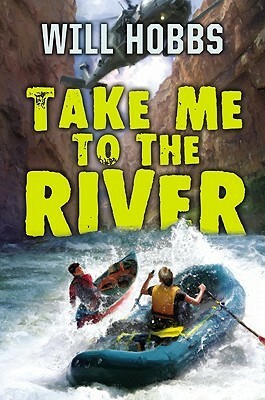 Here's the synopsis from Goodreads.com: "Deep in trouble, Deep in the canyons"
Fourteen-year-old Dylan Sands has come all the way from North Carolina to Big Bend National Park, on the Texas/Mexico border, to paddle the fabled Rio Grande. His partner in adventure is a local river rat, his cousin Rio. As the two are packing their boats for ten days in the canyons, six Black Hawk helicopters appear overhead and race across the river into Mexico. The army won't tell the boys what's happening, but they are given a weather advisory: A hurricane is approaching the Gulf of Mexico. Dylan and Rio have their hearts set on their trip and can't give it up. Rio believes that their chances of running into border troubles or a major storm are slim to none. By canoe and raft, Dylan and Rio venture into the most rugged and remote reaches of the U.S./Mexico border. "You may well not see another human being during the duration of your trip, "the guidebook tells them. They don't, until a man stumbles into camp with a seven-year-old boy. A storm is brewing as the man who calls himself Carlos begs for help . . . and the boy is trembling with fear. 4. 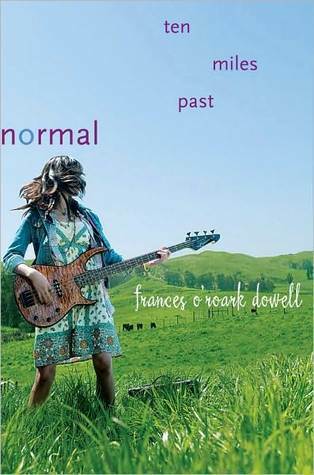 Ten Miles Past Normal by Frances O'Roark Dowell: I have yet to read any books by this author, but they always sound like they're good. I did get this one checked out from the bookstore, but since I ran out of time to read it before the final date to rate them, I didn't end up reading it. I know this author's books have been popular as well. Here is the synopsis from Goodreads.com: Janie Gorman wants to be normal. The problem with that: she’s not. She’s smart and creative and a little bit funky. She’s also an unwilling player in her parents’ modern-hippy, let’s-live-on-a-goat-farm experiment (regretfully, instigated by a younger, much more enthusiastic Janie). This, to put it simply, is not helping Janie reach that “normal target.” She has to milk goats every day…and endure her mother’s pseudo celebrity in the homemade-life, crunchy mom blogosphere. Goodbye the days of frozen lasagna and suburban living, hello crazy long bus ride to high school and total isolation--and hovering embarrassments of all kinds. The fresh baked bread is good…the threat of homemade jeans, not so much. It would be nice to go back to that old suburban life…or some grown up, high school version of it, complete with nice, normal boyfriends who wear crew neck sweaters and like social studies. So, what’s wrong with normal? Well, kind of everything. She knows that, of course, why else would she learn bass and join Jam Band, how else would she know to idolize infamous wild-child and high school senior Emma (her best friend Sarah’s older sister), why else would she get arrested while doing a school project on a local freedom school (jail was not part of the assignment). And, why else would she kind of be falling in "like" with a boy named Monster—yes, that is his real name. Janie was going for normal, but she missed her mark by about ten miles…and we mean that as a compliment. 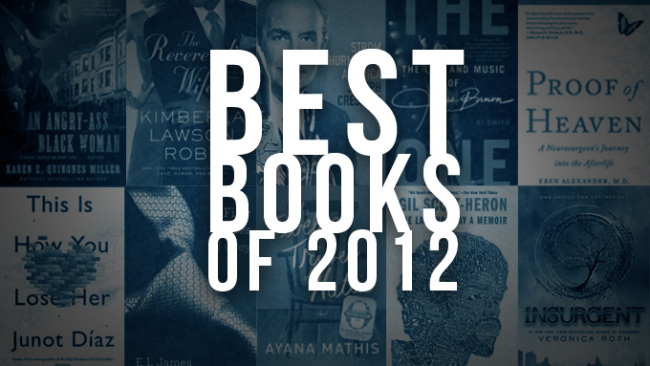 So, I may end up reading these if they do end up on the final nominee list for 2013-2014. I'll review them if I that happens! This is the last of the 25 books for the possible Truman nominee list that I was able to actually read before the deadline this past Monday. And actually, I didn't even finish it in time to rate it. But I was halfway through, and needed to see where it went, so I finished it. Without Tess is a very strange story from the start. The main character, who is telling us the story, is Lizzie Cohen. 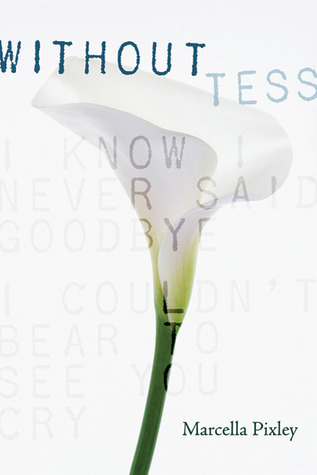 Tess is her older sister that died when she was 11 years old. Lizzie hasn't quite gotten over Tess's death. In fact, she feels somewhat responsible. Something that we don't know why until the end. Tess is a little wacky. Even though it is when they are young girls that we're first introduced to them through Lizzie's memories, you can tell there is something just not right about Tess. The games they play. How Tess seems to really believe that she isn't a mortal, but a selkie. The things she has Lizzie do, and then there's the poetry she writes. Now, call me crazy, but I feel that if Tess died at the age of 11, even if she was mentally unstable, what girl that age uses the kinds of words she did? I mean, I guess since their mother was a writer, they were probably reading at a young age, and they heard the writers' group talking. But it still seems a bit above the head of a girl at that age. Lizzie is seeing a shrink, at school, and he is having her use Tess's Pegasus Journal of poems and drawings to help with her therapy. But Lizzie is turning in the poems as her own in one of her classes. Until she must do a group project where their partner will critique the poems and she must then re-work them. At that point we begin to really get to some of the not so good crazy things that Tess did. How she didn't eat, because she was sure in her head she wasn't a mortal, and got skinnier and skinnier. How she didn't like the new friend Lizzie was making, even though it had been Tess's idea in the first place for Lizzie to make her a friend. It is Isabella, and now at 16, Niccolo that will stay by her and help her to come to grips with her sister Tess, and work on getting past her feelings of guilt, and discover that it wasn't her fault, and she can't be blamed for what her sister did. In a way this was a very interesting look into the mind of a child with a mental illness. And what it would feel like to have an older sibling, that you looked up to and was your best friend for the longest time, only to find out as you got older that they weren't all there, and it wasn't okay the things they did. Very deep, a good ending, a very serious read. I was really excited to get this e-galley from Angry Robot books, I think Strange Chemistry is the specific publisher, through NetGalley. Although, I got this before the big change on NetGalley, and now I'm unable to find this book to go post my review for the publisher. Fortunately, kind of, I had to actually email someone at the publisher and get them to send me a copy of the file because I never got it to download from the site anyway. So I am able to just email that person a copy of the review. Anyone besides me still having issues with the new NetGalley? Okay, enough complaints, on with the review! I was intrigued when I read this was supposed to be a modern day retelling of Frankenstein. So of course I had an idea of what direction the story would go. But I was pleasantly surprised that this story kept me guessing and didn't just lay the whole "here's the monster" and how it was created in the beginning. And there was a romance, of course. And it worked, well, I thought it did. 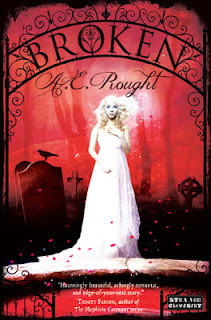 The main character is Emma Gentry. And Emma is really just going through the motions of living. She lost her boyfriend Daniel to a tragic accident a few months before (I think months, not quite sure on the time period on that, I need to go back and read closer). His best friend, Josh, was also there when it happened. And all Emma remembers seeing is that Josh didn't even try to help him when he was falling. And Josh is a big jerk. It seems he now thinks that Emma should be dating him. Emma is not interested though. She still is really broken up and lost without Daniel. She still wanders the cemetery that she and Daniel used to wander together. Until one day a new student walks into their school, Alex Franks. Something about Alex calls to Emma, there is an electric charge between them. And it seems to pull Alex to Emma as well. There are things about Alex that are just like Daniel. The way he can open her locker in one try, when Emma can't seem to ever get it open herself. His eyes even have the same flecks that Daniel's eyes had. And he knows things that only Daniel knew. Within 2 weeks, you have what would be called "insta-love" these days. But soon, you understand that there is something of Daniel in Alex. And Alex's father is more than just the jerky doctor who made the break in Emma's hand worse. AND, Josh, an even bigger jerk than Emma had known he was. I like that Emma's mom and dad are pretty realistic. Her mom is overprotective and strict. And Emma's friend Bree is a good friend, and acts just like I feel a real friend would. Emma's father is always down in the basement working on some kind of wood project. The other kids at school are at first jealous and hateful to Emma because they want to get the new guy, or they've heard horrible gossip about him, or they're saying she's over Daniel too soon. We end up with a real life or death situation, and Emma must decide if it is really Alex she loves, or if it is because of his connections to Daniel. A short, quick read. But, while the story was pretty good, it was pretty forgettable. Whenever I would go back to read it, I couldn't remember at first what it was even about. And I also have to say that the cover doesn't fit it in my opinion. 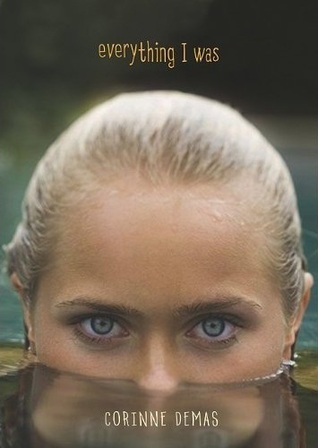 The girl peeking over the top of the water really looks kind of creepy. And it is not a creepy story at all. The main character is Irene. Her father used to be a big shot corporate Vice President, who lost his job when they were bought by another company. So now they can't afford to stay in their fancy Manhattan apartment. So they go to stay with her grandfather in upstate New York for the summer, while her dad looks for a job, and her mom tries to find a new place for them to live that her mom feels is "acceptable" to the style of living she is used to. Irene also has a half-sister named Jenna. Irene finds that she loves the simple life at her grandfather's, and even makes a new friend, and a possible boyfriend. Irene doesn't want to go back to her old school as a scholarship student. She remembers how those kids were treated and looked down on. 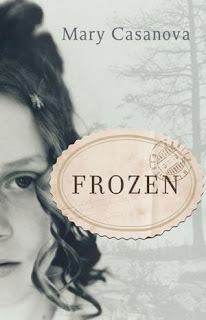 She learns that her grandfather has had offers to sell off his land, and her mom thinks that is a way they could pay for Irene's tuition so she wouldn't have to be on scholarship. But Irene has learned to love nature, and her grandfather's land, and won't let him do it. She gets to go spend a week with her sister, which is good, but she also learns she is afraid of heights, and learns things about her mother that she didn't know that she wasn't the only one who noticed. It does end with a mostly happy ending, but not a forever ending, things are kind of left up in the air, but in a happy way. One other issue I had besides the forgettableness of the story was that Irene was so okay with the bugs and rodents and all the other icky outdoorsy stuff without a bit of complaint. I'm sorry, isn't she a city girl? Living in a penthouse apartment in Manhattan? How in the world is a girl that age not freaked by that? Not a bad story, just not a great story. I'm not a huge fan of this book. It was kind of an interesting story. It's about a girl, Liza, who is walking home from school one day, when all of a sudden her mother is shot. She passed some guys in a tunnel on her way home, but she didn't really look at them, because she was kind of creeped out, and was just trying to get home. As horrible as this is, it doesn't end there. The next day a guy tries to kill her right on her front step. And it is at that time that they realize the guys she saw, that she barely remembers seeing, are wanted by the FBI. And Liza and her father are immediately put in the witness protection program. The first place they go, they're almost caught there. And it seems each new place doesn't work out. Something always slips. First it is that the news runs a story on them, and Liza's long, bright red hair gains attention. Not to mention the reward out on them. This story doesn't really end, as they have to stay on the run. They keep having to move. So you never really get to see Liza find a new place to live and make friends. It was an interesting look at being in the witness protection program, and finding yourself there after being a witness without really knowing that you witnessed something. And I guess it is a look at how there aren't always going to be happy perfect endings. Not much else to say. That's my review for this.